On 20 October 1619, the Warwick, a magazine ship belonging to Sir Robert Rich, stopped over in Bermuda on its way to Jamestown, Virginia. The ship re-provisioned and change cargo. As it set out for Jamaica, a hurricane tossed the vessel against shallow reefs and sharp limestone cliffs. The hull of Warwick was dashed and nothing could be done to save the ship. In 1966, nearly 350 years after Warwick sank, Edward (Teddy) Tucker, a local Bermudian salvor, and Mendel L. Peterson of the National Museum of History and Technology at the Smithsonian Institution conducted a survey using a surface-towed proton magnetometer and detected several anomalies. The following year, Tucker and Peterson returned to the area to conduct a more intensive underwater search. They found a buried ballast pile and pieces of decayed ship timbers. Combining the survey results with provisional archival research, they concluded the site could be that of Warwick. In 1979, Tucker, in association with a team from the Philadelphia Maritime Museum, returned to the site to elaborate on the identity of the shipwreck. Upon uncovering a small portion of the wreck, they discovered the well-preserved hull remains of Warwick constituting almost the entire starboard side of the vessel. 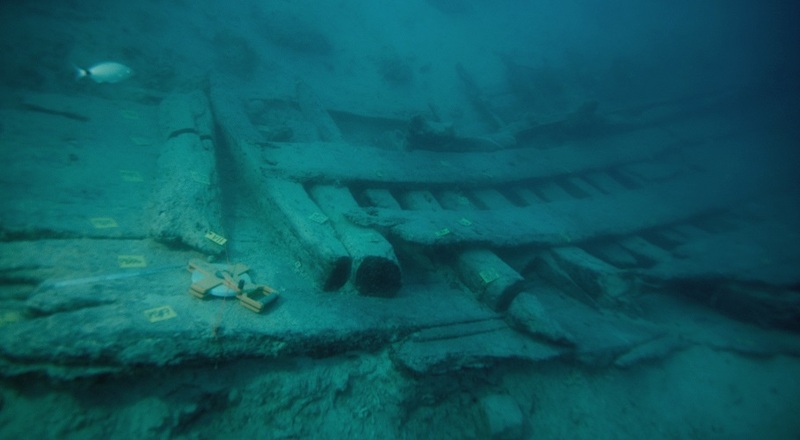 Although, the team never fully studied or recorded the ship, they estimated that it was at least a 300-ton vessel with a length on deck of about 30 m to 34 m. In July 2008, the Institute of Nautical Archaeology (INA) and the Center for Marine Archaeology and Conservation (CMAC) at Texas A&M University, in collaboration with the Bermuda Maritime Museum (BMM), revisited the site. The aim was to conduct a modern reconnaissance survey to assess the historic and scientific importance of the site. Using archival documents and original sketches, the team relocated and uncovered a small fragment of the Warwick’s stern section. This test area was used to study the shipwreck, evaluate the extent preservation of the hull timbers, but most of all to explore the viability of future excavations. The team created a high-resolution photomosaic and detailed archaeological drawings of the uncovered portion of the hull. Adams, J. 1985, Sea Venture. A second interim report – part 1, International Journal of Nautical Archaeology and Underwater Exploration. 14:4. Adams, J. 2003, Ships Innovation & Change: Aspects of carvel shipbuilding in northern Europe 1450-1850. Stockholm, Studies in Archaeology 24. Stockholm Marine Archaeology Reports 3, Stockholm. Auer, J. & Firth, A. 2007, The ‘Gresham Ship’: an interim report on a 16th-century wreck from Princes Channel, Thames Estuary, Post-Medieval Archaeology 41:2, 222–241. Bass, G.F. (ed.) 1972, A history of seafaring; Based on underwater archaeology, New York: Walker. Hallett, H. (ed.) 2007, Butler’s History of the Bermudas: A contemporary account of Bermuda’s earliest government, (by Nathaniel Butler), Bermuda: Bermuda Maritime Press. Harris, E.C. 1997, Bermuda forts, 1612-1957, Bermuda: Bermuda Maritime Museum Press. Mainwaring, H. 1922, The life and works of Sir Henry Mainwaring.Vol. II. London: Navy Records Society. Marsden, P. 2003, Sealed by Time: The Loss and Recovery of the Mary Rose, The Archaeology of the Mary Rose, Volume 1. Portsmouth: The Mary Rose Trust. Peterson, M.L. 1972, Traders and privateers across the Atlantic: 1492-1733, in Bass 1972, 258-9. Peterson, M.L. 1973, ‘Bermuda Underwater Expedition 1966. National Geographic Society Reports, 1966 Projects’, Washington D.C.: National Geographic Society. Tracey, E. & Tucker, T. 2009, The Wreck of the Warwick, RG Magazine. Heritage Issue May 2009. Tracey, E. & Tucker, T. 1979, ‘Excavation of the Warwick’, Bermuda: Bermuda Maritime Museum. 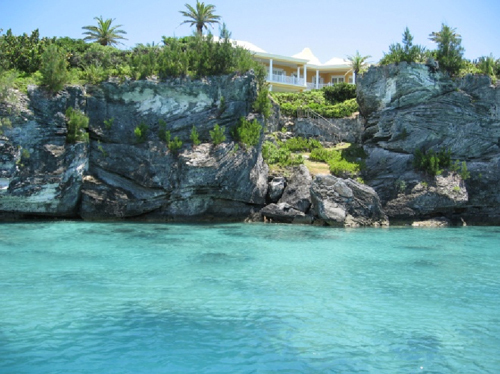 Tracey, E. 1980, ‘The Warwick’, Bermuda: Bermuda Maritime Museum. Hume, I.N., 1980, Letter to Dr. Richard K. Page, Director of Philadelphia Maritime Museum, 28 August. Bermuda: Bermuda Maritime Museum. ABOVE: The wreck site of Warwick (photo taken during the 2008 season by P. Bojakowski).